I thought I would try once more to see if anyone can ID this bottle. 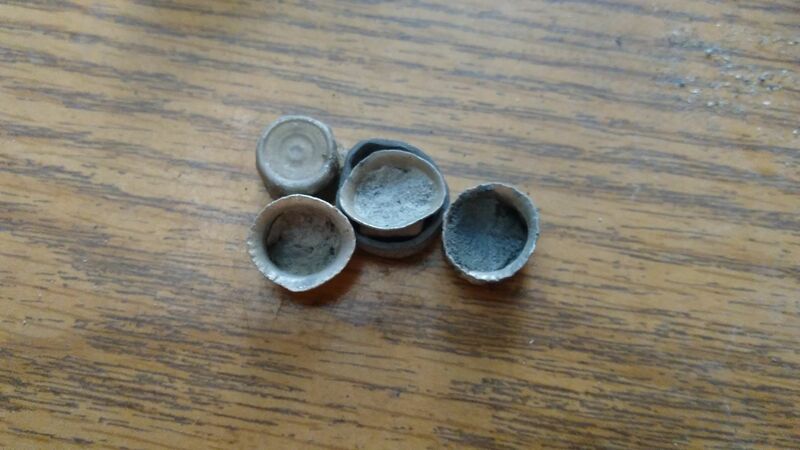 It was found a few feet deep in an excavation site in Michigan. It is beer bottle from 1890-1910. They came with a porcelain stopper and wire bail to keep them airtight.Many regions and towns had locally brewed beers with there own bottles. Normally they are locally common and while neat finds usually carry minimal value. Local collectors may have the greatest interest. Amber(brown) ,like yours is a common color. Sometimes these beers come in cobalt blue or other rare colors that can dramatically affect value.As a past digger in the northeast I have dug hundreds of them. And they are always fun to find. The bird on the bottle reminds me of the Anheiser-Busch logo. Here is a photo with one of those porcelain stoppers (on the right hand side). Yes the eagle is almost exactly like the old Anheuser eagle. I'm wondering if this was some brewery that started with a "U" (like United, etc.) that was an agent for Budweiser beer. I have local beers that say so and so bottling works, and then Pabst, or Schlitz beer, etc. I posted this on another forum but so far, nobody knows either. But, what is that "U" ??? That's the question here. Why don't you contact Anheiser's PR dept. and see if they can help you? Thanks guys for all the tidbits of info. It’s been a couple years, going to try for another ID on this bottle. I STILL don't have any idea besides what I posted here back then. It sure is a cool looking bottle though! I think the bottle is the right age as originally thought but you have the wrong closure for it identified. 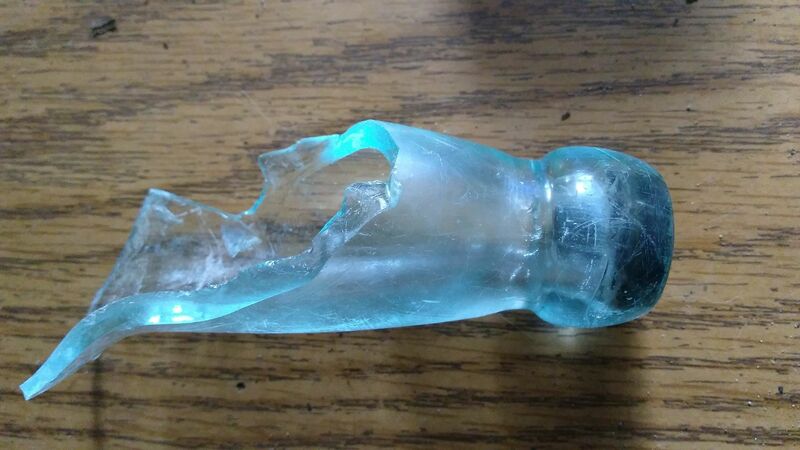 Here is part of a bottle I found in the Detroit river last year. I find these seals all the time in Cass lake and in the Detroit river. Could never figure them out. Now I know. The seal was called a Baltimore Loop Seal and was popular in some areas and not others. 1885 - 1905. Bottle Mike in Detroit will know EXACTLY when that bottle was made and for what company. He is the leading expert in Michigan. I probably can find him in my contacts if you stay stumped. I will find his information and send him a link to this thread. I called him. Great guy. Will be back with me. Last edited by ScubaDetector; 04-16-2018 at 10:47 AM. Well, you could use that trade marked design in some advertising and wait to see who sends you the cease and desist order..lol..
still stumped? Interesting. I did a flurry of searches and came up with nothing on the brand logo. Well Mike is unsure and is putting it out to all his resources. It is possible it is from them. They did have an eagle on the front of some of their bottles. They were in business from 1904 - 1918. A good chance this is a rare bottle. Last edited by ScubaDetector; 04-17-2018 at 08:42 AM. I posted your bottle over at another forum I'm on and so far not much feedback there. That is close (but without the "U") but it's also possible. If so, it may be a rare variation only used by them for only a very short time. With that type of top it would have to be close to the 1904 period as crown tops were starting to be used at that time too. It's also possible, though, that while it was found in Michigan, it may have been from elsewhere and just consumed there.